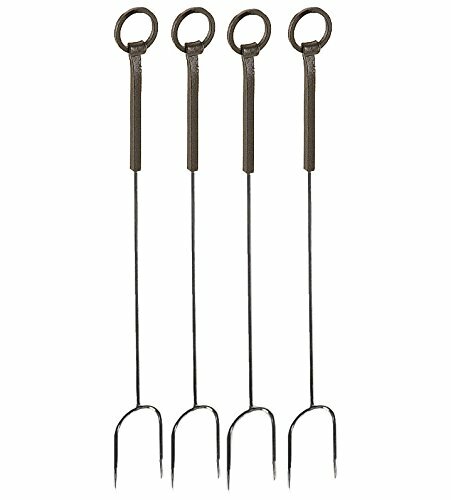 This Iron Ball Roasting Fork Stand is available in a matte black finish, providing an attractive visual in addition to the utility of the item. This inherently useful fork stand will prove essential for many hearths and is supplied with a finish color that speaks to this versatility, as it can be used within multiple decor settings. Measuring at 25 inches high, this fork stand can help you manage your fire and serve you well.